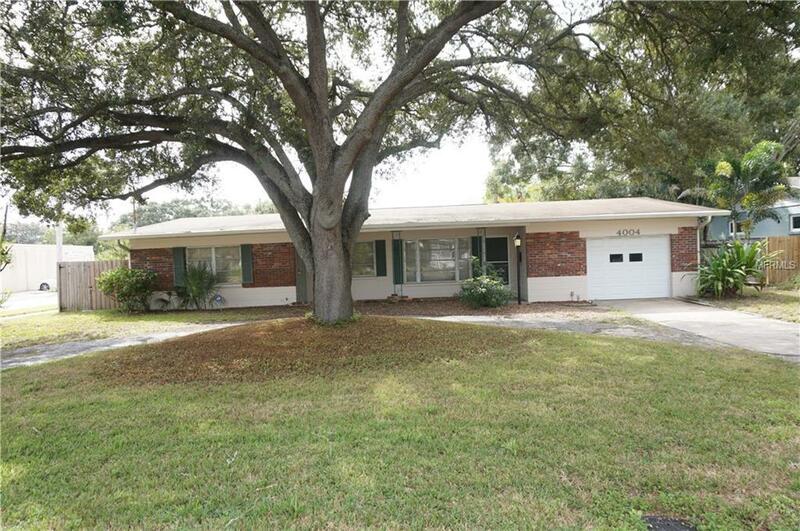 This home is located on prime real estate, located in the heart of South Tampa. The opportunities with this home are endless, whether the owner is an end user that would love to fix it up and make it their own or build their dream home on this 80 x 137 fenced lot. There are many new and rebuilt single family homes in this neighborhood. This property is NOT in a flood zone. This home features 3 Bedrooms and 2 Bath and an in-law suite that has 1 bedroom and a full bathroom making a total of 4 bedrooms and 3 full bathrooms, there is also a family room, formal living room, and large Florida room. The sunny backyard is absolutely spacious! The home is a short distance to Plant High School, and located in one of the best school districts in town! Neighborhood has easy access to 2 major shopping malls, minutes to Tampa International Airport, Downtown Tampa, professional sporting venues, the performing arts, shops and great restaurants. Call for details and showings.